Yehudis Schamroth is not a rabbi, a rabbi’s wife nor a Jewish educator. She’s an American Jew, now living in Israel, with a fire in her soul for geula (redemption). In 2017, Schamroth started The Miriam Project, focused on raising worldwide awareness that the final redemption is just around the corner. She raises awareness by interviewing people who have something to say about the impending redemption. Her most recent interview was with Rabbi Dr. Abraham Twerski, a psychiatrist and founder of Gateway Rehabilitation Center in Pittsburgh, one of America’s leading facilities for addiction treatment. He is the author of more than 60 books and now lives in Israel. In his interview, Rabbi Dr. Twerski said, “The geula is one of the most important topics of today. For thousands of years, we have been looking forward to the geula. We believed in it and it was real. “But in recent years, the things that have happened have made it… imminent. There’s no question in my mind that we are in the [footsteps] of Moshiach (Messiah) and that we will soon be the beneficiaries of the geula shalayma (complete and final redemption). Schamroth originally partnered with life coach Devora-Gila Berkowitz, also a Jewish immigrant from the U.S.. The Miriam Project began as a call-in show, but has transformed into a series of interviews with deep thinkers, all being interviewed by Schamroth on the topic of redemption. Berkowitz is no longer directly involved but remains supportive. “The Miriam Project originally targeted Jewish women, because women are always at the forefront of redemption happening in Jewish history. Miriam the prophetess inspired women in Egypt and encouraged them to not lose hope. We wanted to take that challenge on as contemporary women. Endlessly fascinated by the impending redemption, Schamroth was frustrated that, “People weren’t discussing it enough or taking it seriously enough. We should learn about the time we’re in. So I decided to interview people who know a lot about it. “I’ve interviewed many rabbis and rebbetzins and anyone who has an intelligent opinion about geula, including teachers and tour guides. I’ll interview anyone who has enthusiasm to talk about it. Every one of them adds another dimension. “I wanted to hear with my own ears that knowledgeable people are expressing the same things I was thinking about geula. One thing that comes through in every interview is that the whole issue is more urgent. 100% of the time, people I interview say it changed enormously in the past 20 years. “When they were young, in their wildest dreams, they never thought it was a reality. They enumerate changes that the see and they realize that it is more urgent to talk about all this. I get very excited talking to these people! It makes me more enthusiastic. It validates my desire to do this,” she noted. Schamroth urges people to prepare themselves for the final redemption. “Learn Torah about this topic in particular. We’re told not to set a date to look toward for redemption to happen, but we can learn who Moshiach is and what the world will look like. We want to learn as much as we can before it happens, so it’s not a big shock. It will be a big shock to many people, because the world will change a lot. One of Schamroth’s favorite interviews was with End Times expert Rabbi Pinchas Winston. They discussed how people can help bring the redemption mercifully. 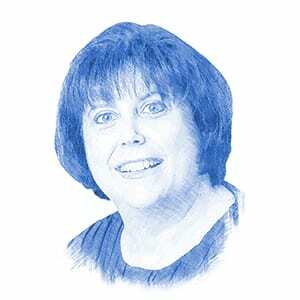 In a different interview, one that connects this time of year with geula, Jewish educator and director at Naaleh Torah Online, Rebbetzin Shoshie Nissenbaum said, “The energy that we tap into for inspiring repentance at this time of year is the same energy we need to tap into to bring about redemption with rachamim (mercy) When we ask God for mercy, we are asking Him to learn how to change and grow enough to improve ourselves in all ways. To do this, we need to change. “Similarly, … to bring about the redemption with mercy, we ask God to give us the ability to absorb the many changes that are taking place in these last days of the year and last days of the world as we know it. To subscribe, send an email to themiriamproject5777@gmail.com. You can also like The Miriam Project Facebook page and follow their account on SoundCloud.